Experience an “adult-oriented” tour during the evening hours! 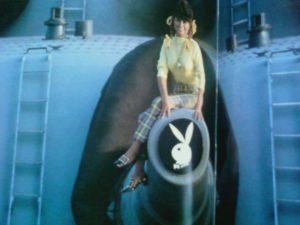 On Wednesday, April 24, at 6pm, this adult tour, led by the Battleship’s Curator, will take guests off the public tour route and will showcase the more “adult-oriented” sailor art created over the years, as well as share some adult stories. Included in this tour is a cold beer or glass of wine – or soft drink – on the Main Deck Portside as we enjoy the skyline of Philadelphia at night!